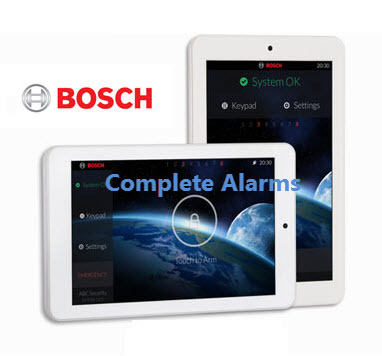 The Bosch touch screen keypad gives the end user a very easy to use user interface to interact with their alarm system. It’s thin, modern and sleek design offers an stunning interface. The Touchone’s seven inch high resolution display is captivating and will blend into any modern décor. Designed to be an integral and discrete part of the smart office/home, the touch screen keypad features an elegant, slimline housing. Automatic landscape or portrait mounting. Connects to 8xx series keypad buses.